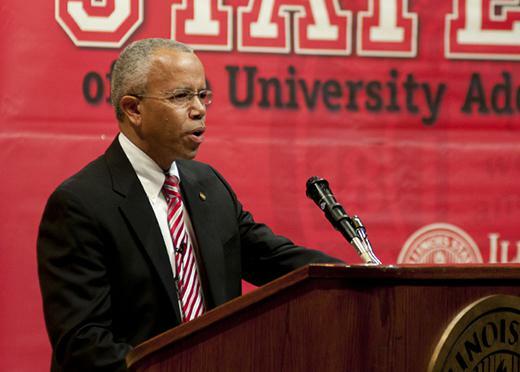 Former Illinois State University President Al Bowman is now executive director of the Illinois Board of Higher Education. But could there be a silver lining to the outmigration problem? Al Bowman, the executive director of the Illinois Board of Higher Education, said he sees outmigration as a double-edged sword. Yes, it’s a threat, but it’s also finally gotten the attention of state lawmakers, Bowman said. This year that led to the creation of a new merit-based scholarship program and more stability for need-based aid—aimed in part at keeping in-state students here. “It’s gotten their attention in a way that higher education wasn’t able to do. It’s sort of obvious, tangible evidence that there are significant challenges in higher ed, and if we don’t address them as a state, we will suffer serious consequences,” said Bowman, the former president at Illinois State. Bowman joined GLT’s Sound Ideas to discuss this fall’s enrollment numbers—a mix of “good news and some not-so-good news,” as Bowman put it. Schools like Eastern Illinois saw their falling enrollments finally rebound. But others, like Western Illinois and Northeastern Illinois, did not. Overall enrollment across public universities in Illinois fell 1 percent this fall, down from 2 percent a year ago, Bowman said. Public universities are still trying to shake off Springfield’s two-year budget impasse, which finally ended in summer 2017. Higher education leaders welcomed this year’s on-time budget. ISU, for example, will get $66.3 million from the state this year, an increase of 2 percent ($1.3 million). Now, lawmakers and higher ed leaders are turning their attention to a funding formula rewrite, similar in scope to last year’s overhaul for K-12 schools. That one took years to finally pass. Bowman said IBHE staff and the bipartisan Higher Education Working Group hope to have the “first iteration” of a new funding formula ready by April 1. Today, state funding is distributed to public universities based on a historical pattern, Bowman said. Less than 1 percent is based on performance metrics like enrollment and graduation rate, he said. Bowman said he thinks lawmakers will lean into performance-based funding enough where it begins to impact institutional behavior. And that’s good, he said. “My sense in talking to the governor and the four legislative leaders is that they all realize more dollars need to go into higher ed. There’s certainly debate about where those dollars should go. Should it go in the form of aid directly to students? Should it go to institutions directly for operations? That remains to be seen,” he said. The Illinois Board of Higher Education has approved a state funding request that is $254 million more than last year but still below the amount they received in 2014-2015. 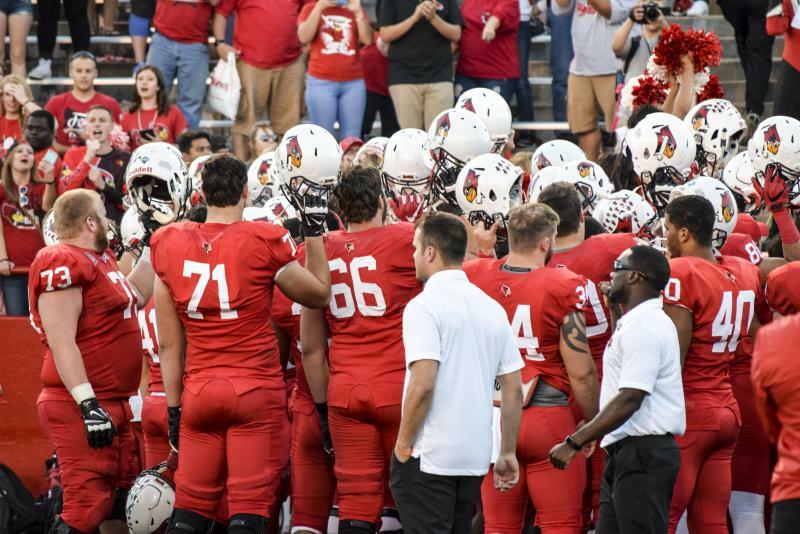 When Brock Spack was introduced as head football coach at Illinois State in 2009, only two coaches in the previous 100 years of the program had compiled winning records. 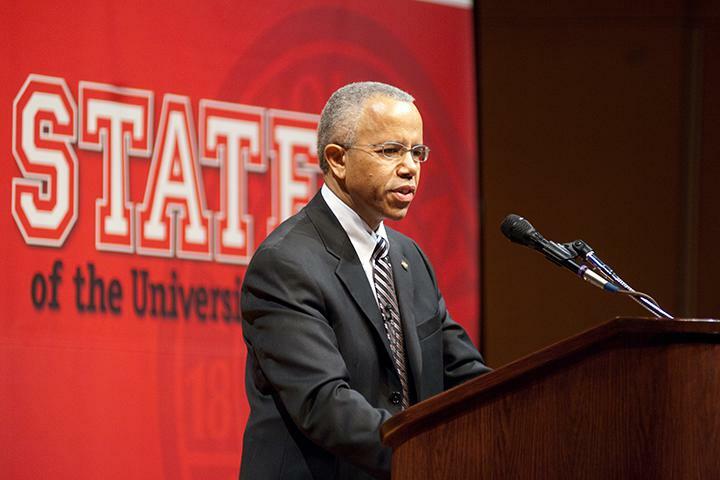 When Al Bowman was president of Illinois State University, he liked the freedom and flexibility that he had to run his campus. Now that tables have turned.